Chill out in the effortless look of Dickies Girl Juniors’ Long Sleeve Check Swirl Cropped T-Shirt. Made with long sleeves and a cropped hem, this shirt is perfect for staying comfortable during the changing seasons. 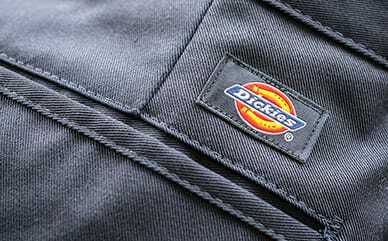 The swirl logo on the chest and logo on the arm gives off a cool vibe, while in turn showing off the Dickies brand.